It’s been nine years since the last Crackdown game, and it seems like every time there’s another it’s done by a different studio. 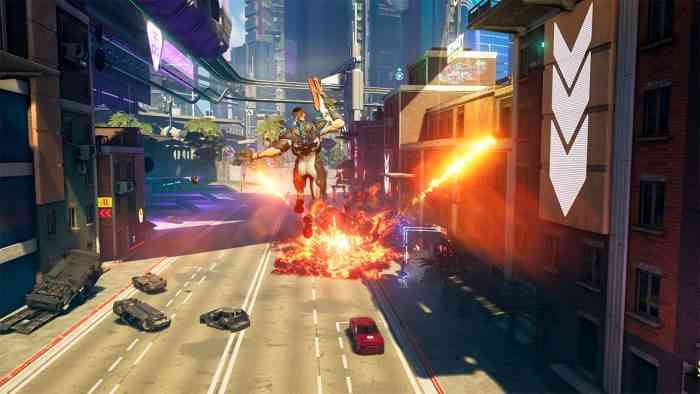 However, Crackdown 3 hearkens back to the mood of the original: that’s right, there’s plenty to explore and plenty to explode in this sandbox-style third-person-shooter. How is it different from the original games, though? And how is it the same (aka: is it bad)? Check out our interview with writer Joseph Staten below to find out! Take a shot every time you hear non-linear, am I right? Seriously, though, Crackdown 3 looks to be shaping up well with gameplay that knows exactly what it wants. Just like real life, every structure in the game is fully destructible, although unlike real life, the consequences might not be prison time for destroying all of it. Also, the story is playable in whatever fashion you want- if you want to challenge the main boss straightaway, go for it, but don’t expect them to go out without a fight. No matter how you go about playing the game, this sandbox adventure looks like it promises a fun time for anyone who plans to give it a go. Are you looking forward to Crackdown 3? Let us know in the comments below!